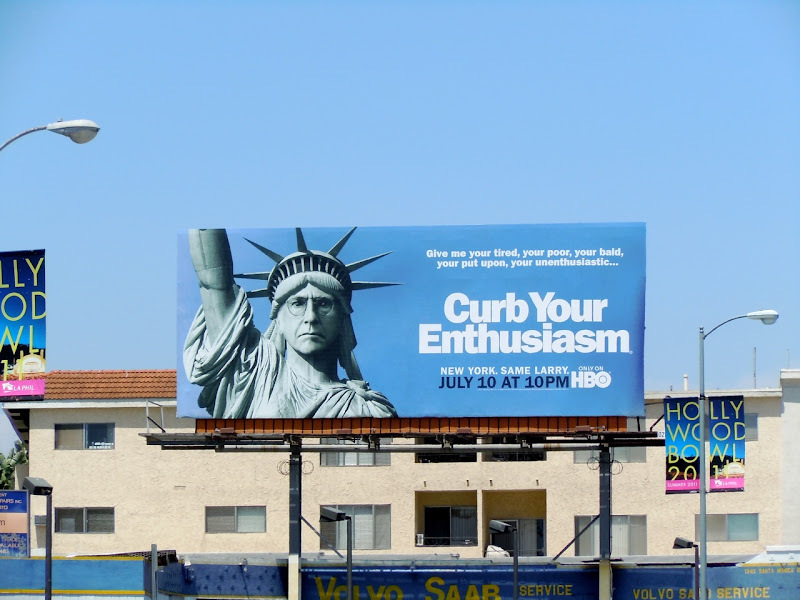 You'll find it hard to 'Curb Your Enthusiasm' when you see these fun billboards for the eighth season of the popular comedy series. 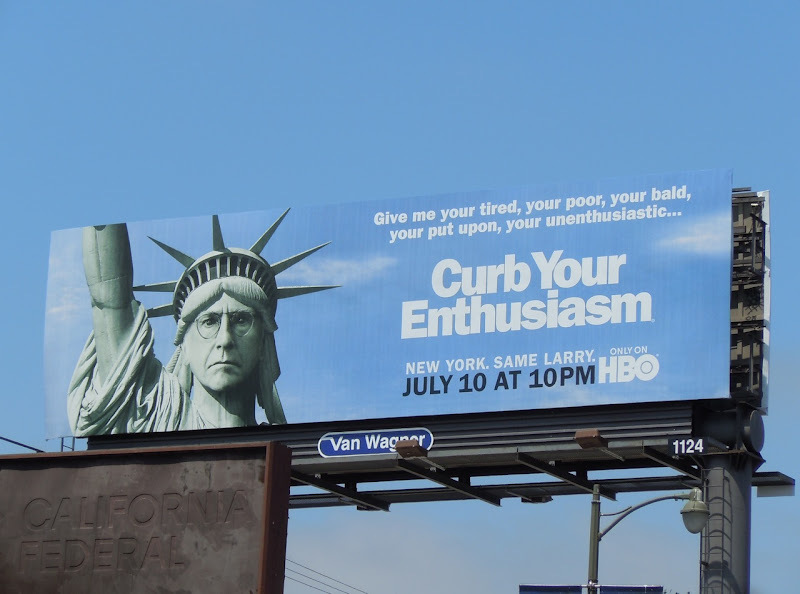 This time Larry David's back and loose in New York, hence his hilarious transformation into the iconic Statue of Liberty, looking as happy as ever. 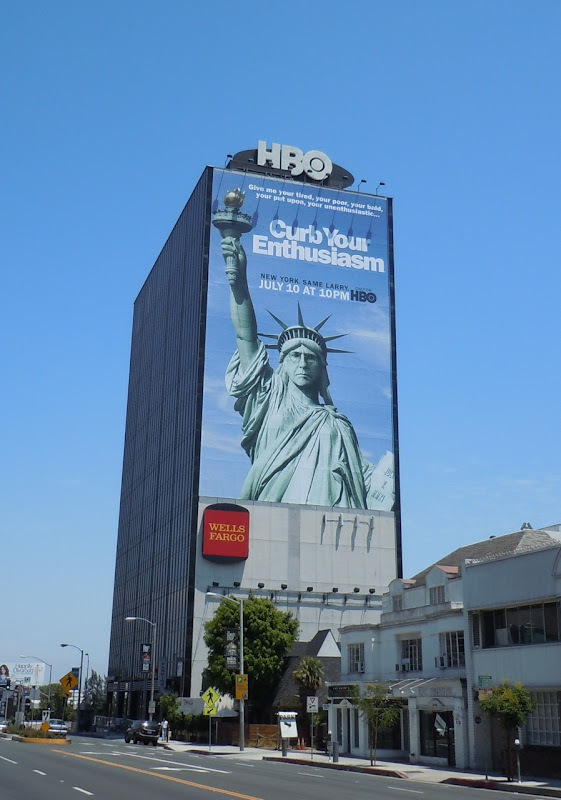 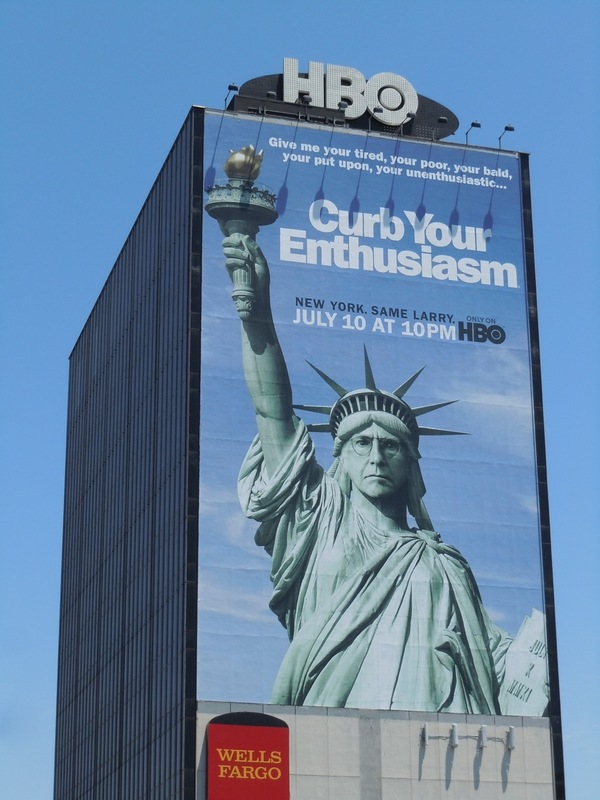 The standard format billboard for the HBO show was snapped along Pico Boulevard on June 21, plus another version along Santa Monica Boulevard and the giant creative towering over Sunset Boulevard on July 5, 2011.